1. 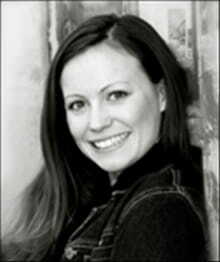 Don’t have separate checking accounts or credit cards. You’re a team from here on out. Divided funds equals divided interests and subtracts from your oneness. 2. Hold hands when you argue. It automatically forces you into a different posture; one that is less combative since you are in such close physical proximity and reminds you that you are together in even this conflict. Now, I know I’ve heard many married couples say that having separate checking accounts has saved their sanity; even been laughed at about the whole holding hands thing. But, for us, those things did indeed help us navigate life together, belong to one another, and maintaining that sense of oneness God designed for marriages to have. And, no we haven’t adhered to that advice perfectly, but it has consistently guided us well. As we approach life decisions, does “I am my beloved’s and he is mine” cross our minds? Do we remember and consciously commit our hearts and choices to the One to whom we both belong? Another area of oneness is addressed rather unconsciously: how we speak to our husbands/wives. Our words are often shaped without as much thought as would perhaps be beneficial to us or the recipient. So it’s easy for us to get in a rut with our words to our spouse that just simply don’t serve the purpose of oneness for a variety of reasons. Sometimes when we’ve had disappointments and hurts in our marriage that have gone unaddressed, or just not fully forgiven, we move forward with them tucked between us. They ever so slightly rear their ugly heads in our tone of voice or in a slight jab here or there. That unforgiven junk (which might be as small as the fact that your man is always late) doesn’t deserve the valuable real estate of your love, marriage, or heart. It ends up stealing away the ground God designed for you to live in oneness together. Another way our words get turned against us in marriage is just out of a lack of real sensitivity or understanding. I remember watching a newlywed couple. The husband laughed hysterically when his wife fell. I was so humiliated for her. His laughter was worse than her fall. He wasn’t a mean guy. He wasn’t a bad husband. He was just young and had a lot to learn. I’ve seen other married couples struggle when one spouse misses the opportunity to lovingly cover the other with compassion and thoughtfulness. And I’ve been that spouse that joked a little too hard, interrupted too often, or told a story I thought was funny that my husband didn’t quite share the same response. It’s all too easy to pull at the fabric of our oneness with our words. If we are careful to guard what we say and do with the goal of remembering the Lord we belong to and the sweetheart we belong to, the love in our marriages will be blessed and nourished. 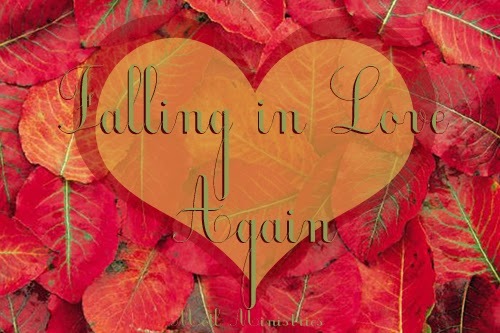 Join us for more of the "Falling in Love Again" series here or through email, facebook, twitter or on pinterest.